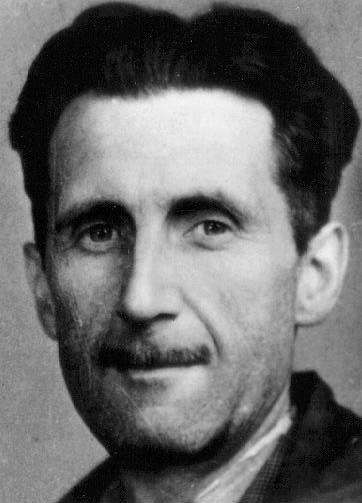 I have long maintained that the father of blogging was George Orwell. As a prolific diarist and essayist he mastered the blog post form over half a century before the rest of us and before technology caught up with his output. And now he has one courtesy of academics at the University of Westmister and WordPress. Everyday they are posting his diary entries exactly 70 years after he penned them at Orwell Diaries. At the moment he is rather obsessed with the weather and the blackberry season but aren’t we all? The comments are worth a read as well. For a more pokey Orwell get yourself a copy of the columns he wrote for Tribune during the Second World War here. Makes a change to hear a blogger talk about Blackberries instead of the bloody iphone. Nah. The internet wasn’t available then. In 1984, the protagonist (Winston Smith?) had the wonderful job of literally re-writing history. Instead of the internet, though, he received his fodder on pneumatic tube. Sort of the birthplace of Wikipedia.